With thousands of merchants selling on Amazon, all creating or updating their own products, duplicated products were bound to come up.. Merchant 'XYZ' may call a single product "The blue cool thingermajig" and merchant 'ABC' may describe the identical product as "Blue jig thingy" and a new ASIN is created. With any luck, both merchants used the proper UPC/EAN when creating the product. The UPC/EAN is key in unraveling these duplicated items and will help you untangle your ASIN mappings and or include the alternate ASIN in your store. Why is knowing of these alternate ASINS important to you? In short, EXPOSURE! You are already selling the item using the ASIN either created for your item or found to match your item, you should be part of all sellers selling the item, no matter how it is known to the system: ASIN B0001 or B0002. This will help when the customer search pulls in the alternate ASIN for your product, unfortunately if you are not also selling that ASIN, your storefront has no ability to sell to the user. Therefore you may want to sell and be in the running for all known ASINS concerning your products. 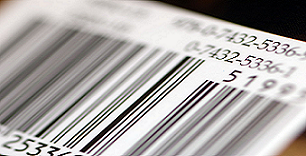 CompetitorEye can utilize your items known UPC/EAN and MPN to locate those "other" ASINS, on occasion UPC/EAN's are inaccurate and careful attention should be made when mapping your products to Amazon.